A family friendly neighborhood that has all the food, charm, education, arts and culture you could want. Talk about a foodie's dream. 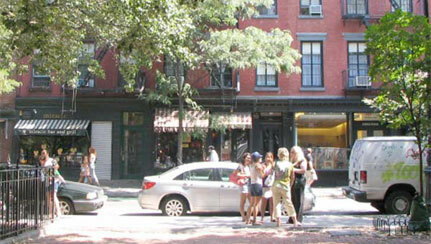 New York Magazine continually earmarks the West Village as the culinary mecca of New York City. Whether you're looking for an amazing Italian meal at Sant Ambroeus, a cozy Mediterranean dinner at Little Owl, the best Lobster Roll at Pearl or just a great sandwich or snack, you've found the right place. Oh yea. And there's Magnolia. 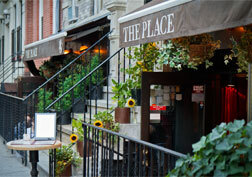 The West Village appears to have been plucked out of an older, cozier New York City. Whether it's the tree-lined cobblestone streets, rows of beautiful brownstones, quaint shops, alluring bakeries, or the policemen on horseback, it's no wonder. It's no secret that the New York City school scene is cutthroat to get your child into. So it's quite a luxury for West Village residents to have access to some of the city's premier public schools (PS3 and PS41) . 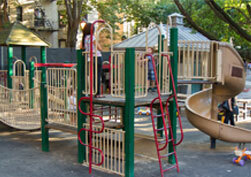 In addition, the neighborhood is also home to some of the best private schools (eg. The Little Red Schoolhouse), and a walk from others. Run, bike ride, skate, or sit and sun at one of the many parks along the Hudson river, tuck away into the secret garden at St. Luke in the Fields, bring your children to the Bleecker Street Playground, or stroll along the High Line. In this neighborhood, there are tons of places to go to forget the city, relax and have fun. Marc Jacobs. Burberry. Intermix. Monocle. Ralph Lauren. And so much more. 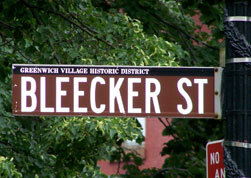 Bleecker and the surrounding streets are the home to both classic and today's trendiest brands. Home to the Beat movement, secret access to the Underground Railroad, performances by jazz greats at The Village Vanguard, the beginning of the gay and lesbian rights movement at the Stonewall Inn, and so much more steep this neighborhood in history. And its landmarked status ensures that the signs remain everywhere.